The pleura is a membrane. It lines the outside of the lungs and the inside of the chest. 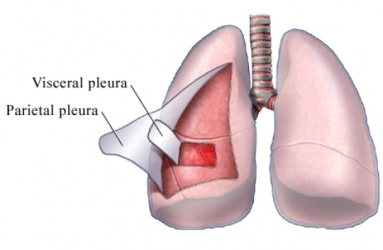 Pleural mesothelioma is cancer of the pleura. Cancer happens when cells in the body split without control or order. A mass of tissue can form when this happens. It is called a growth or tumor. The term cancer refers to malignant tumors. They can invade nearby tissue and spread to other parts of the body. Mesothelioma is a type of cancer. It is almost always caused by being around asbestos. This is a loose mineral that is found in building materials and car parts. Even being around small amounts can raise your risk. You will be asked about your symptoms and health history. A physical exam will be done. You may be referred to a health expert. 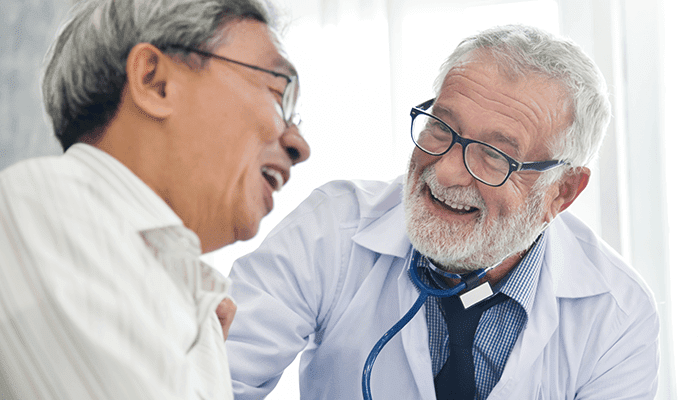 A pulmonologist treats the lungs. An oncologist treats cancer. It can be hard to tell this apart from more common types of lung cancer . These same tests and others may also be used to find out if cancer has spread outside the pleura. 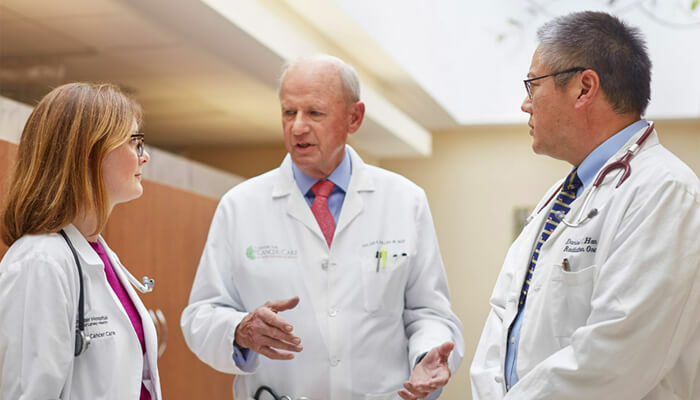 It is important to know whether and how far the cancer has spread in order to plan treatment. This step is called the staging process. It helps determine the level of treatment. Pleural fluid caused by the tumor will be removed. This is repeated as needed. The only known way to prevent this cancer is to avoid asbestos and hazardous fibers. Use safety equipment and precautions on the job. Take steps to avoid bringing asbestos dust home on clothing. Do not attempt to remove asbestos material that may be in your home. Hire a professional. Cugell DW, Kamp DW. Asbestos and the pleura: A review. Chest. 2004;125(3):1103-1117. General information about malignant mesothelioma. National Cancer Institute website. Available at: http://www.cancer.gov/types/mesothelioma/patient/mesothelioma-treatment-pdq. Updated July 30, 2018. Accessed August 29, 2018. Mesothelioma. American Lung Association website. Available at: http://www.lung.org/lung-health-and-diseases/lung-disease-lookup/mesothelioma/. Accessed August 29, 2018. Malignant pleural mesothelioma. EBSCO DynaMed Plus website. Available at: https://www.dynamed.com/topics/dmp~AN~T116096/Mesothelioma . Updated January 2, 2018. Accessed August 29, 2018.